Meijer: FREE Advil Allergy tablets! 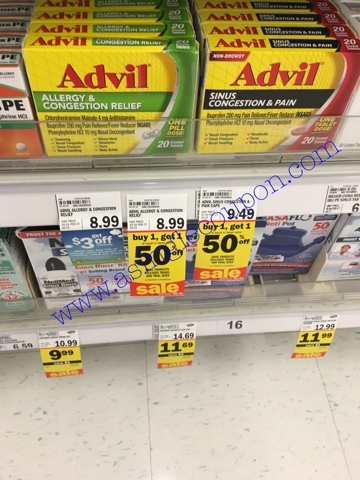 Everyday price of Advil allergy & congestion is $8.99! When I scanned the UPC it brought up 2 SavingStar rebates totally $6! Plus there is a $3 coupon, making it free! They are also part of the buy 1 get 1 50% off, plus if you buy $25 in allergy medications, then there is an instant saving of $3! Submit: $3 SavingStar Rebate, I have 2 of these so FREE for me!